The meal that most people find hardest to change is breakfast. Most people are willing to experiment with different foods during lunch or dinner, but when you are still waking up, you prefer to do so with those familiar breakfast items. However, diets in China, including breakfast, are moving to incorporate more western-style foods, driven by economic growth, urbanization, and market liberation. Yet, few studies use microeconomic data to identify the factors driving the trends, particularly to link the rapidly changing demographics to specific western-style foods. Research jointly conducted by the Chinese Academy of Sciences, Washington State University, North Dakota State University, University of Florida, and Economic Research Service at USDA used household-level data that were collected in Beijing, Nanjing, and Chengdu in recent years to provide new insights on this issue. The data were collected through a week-long food diary approach, asking the selected households to record all the detailed food consumption by meals (breakfast, lunch, and dinner), including each ingredient prepared or eaten in the meal, no matter the meal occurred at home or away from home. The tracked food items includes each item’s name, price, purchase venue, and amount consumed for that meal, which allow us easily to identify and distinguish the western-style items from traditional Chinese diets. A full list of western style breakfasts and the observed frequency for each item are presented in Table 1. Most of Western-style breakfast menu items can be found on Chinese dining tables for breakfast, and they have become increasingly popular in urban areas. In Table 1, all observed western breakfasts are grouped into three categories, including bread and cake, milk, and other western foods. Each category further includes several kinds of specific western foods. Clearly, 83% of surveyed households consumed at least one kind of the listed food in Table 1 during the survey week. Of which, fluid cow milk is the most popular, with 564 households reported consumption, accounting for over 70% of the entire sample. Following fluid cow milk are the bread and cake categories, with 47.3% and 16.1% of surveyed households reported consumption, respectively. Although less frequently consumed, it is notable that sausage, cheese, and coffee, three very western items, have been incorporated in Chinese breakfast menus. On average, there were about four breakfasts out of seven (in the survey week) where at least one kind of western food was consumed for each household. Income, as expected, has a significantly positive effect. The number of breakfasts included at least one kind of western-style food is 3.83 for the lowest income group, while it increases to 4.63 for the highest income group. Similar trends can be found for bread, milk, and other western foods consumption in terms of meal number. For bread, the weekly consumption frequency for the highest income group is 2.42 breakfasts, which is one breakfast more than that for the lowest income group. The positive income effect can also be seen in terms of per capita consumption (Figure 1). Although cereals are still restricted as breakfast item to a small number of Chinese households, the market is growing. Major players, including Cereal Partners Worldwide, General Mills, Kellogg, and PepsiCo, have all targeted the market in some way. Breakfast cereals are predicted to see 6% value CAGR. 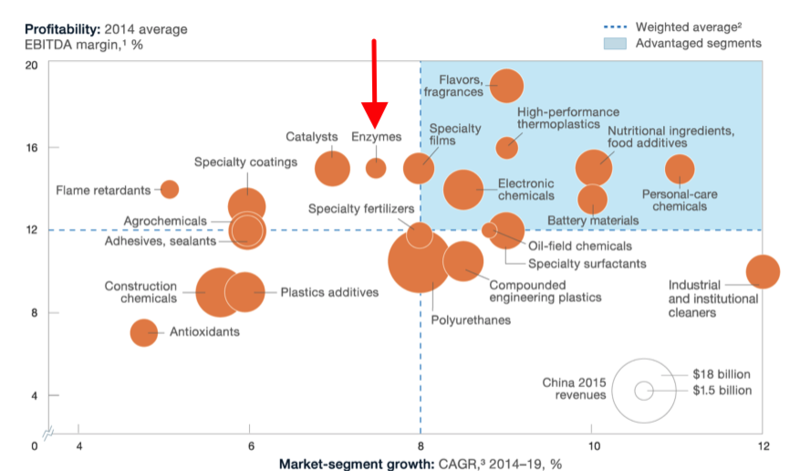 Manufacturers will take their inspiration from traditional Chinese medication by offering products containing Chinese ingredients such as red dates, goji berries, and black sesame. Sugar-free products are also a huge rising trend. In 2015 the revenue of general cereal sales amounted to RMB 2.805 billion, whereas in 2022 the market is expected to more than double, reaching RMB 6.2 billion. A domestic player to watch is Guilin Sea Mild Biology Technology Development. With its brand Sea Mild it accounted for a value share of 18% in 2016 as well as the year before. 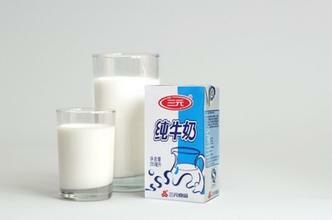 Guilin Sea Mild specializes in hot cereals, which require the addition of hot water or milk. The company built the overall leadership mainly through its well-established brands and strong distribution network. Guilin Sea Mild is also positioned as mid-priced and thus benefits from a broad potential customer base. The company mainly targets elderly consumers with products such as Seamild Nutrition Cereal for the Elderly, High Iron Red Dates Cereal, and High Calcium Walnut Cereal. Women (mothers) play an important role in deciding the ingredients on a Chinese breakfast table.The western food consumption varies by demographics, including the characteristics of the female head of household (FHH). In Figure 2, we can see that families with wives who hold college or advanced degrees more frequently incorporate western foods in breakfast than other families. It is also the case for per capita western food consumption, with 1.26kg for families with a highly-educated FHH versus 0.98kg for others. Family composition also matters, but the effect differs across food types. For instance, families with children tend to consume more bread at breakfast than other families, but the difference is not that remarkable for milk and other western foods. Also, families with adolescents or young adults more frequently consume bread at breakfast than their counterparts, but families with seniors consume bread less frequently, but more frequently consume other western food products. Families with dual-career parents do not present consistent differences from single-career families. Western food consumption differs remarkably across cities. Beijing is leading in consuming western foods in terms of the number of breakfasts consuming western foods. On average, there are 4.42 breakfasts including at least one type of western-style food, which leads Chengdu by 0.42 breakfast meals and Nanjing by 1.23. Similar comparisons can be found if we focus on bread, milk, and other western foods. In terms of consumption quantity, however, Chengdu takes over the leading position with per person consumption of1.53kg, nearly double the level of Beijing (0.85kg) and Nanjing (0.79kg). It is noted that the differences across cities may not exactly reflect the regional difference as these surveys in three cities were not conducted at the same time. A number of companies have already started cashing in the above mentioned trends by launching foods and beverages specifically formulated for breakfast. 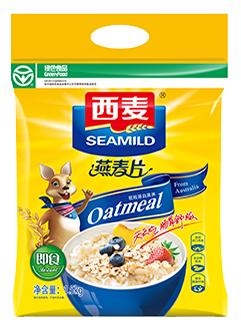 Several dairy companies have launched breakfast milk, like Yili’s Oat Milk introduced in an earlier post. In my post on public nutrition in China, I selected a fortified bread from Oishi that is also marketed as a breakfast food. The common element in all these products is: get all the nutrients you need from one single sip or bite. In 2016, many roadside breakfast stands disappeared in several Chinese cities, as the nation set out to improve city appearance and food security management. However, that also meant fewer breakfast locations for local residents, opening the door wider for higher-quality ones. Choices used to be mainly limited to international giants, such KFC and McDonalds, but not anymore. 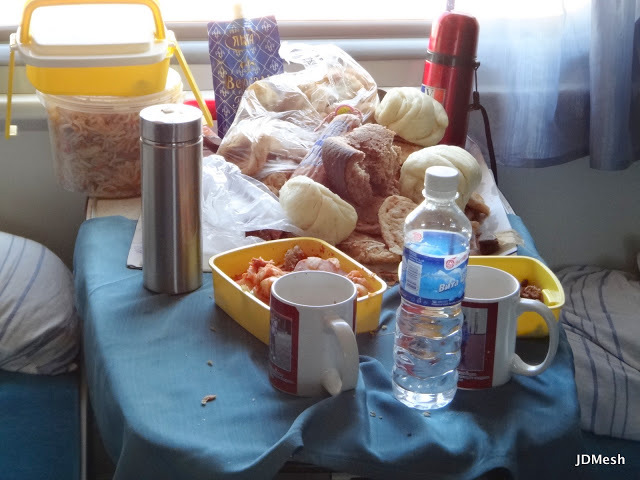 Local companies such as Doujiang Ai Youtiao, a Shanghai-based start-up focusing on data-management and freshly-made breakfast, have created a “second breakfast table” for consumers (see photo). 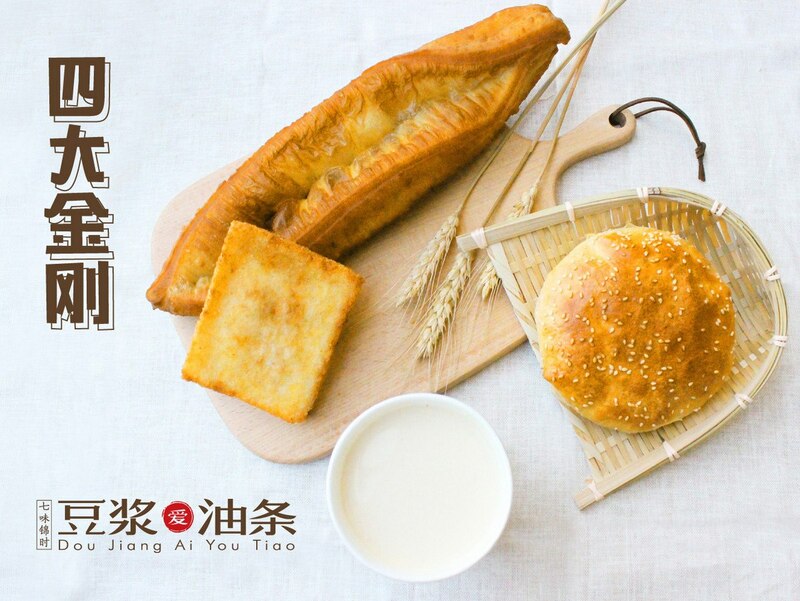 The Shanghai-based start-up has many stores in residential communities, offering Shanghai-style local foods and traditional Chinese breakfast, including youtiao (fried bread sticks). Sales are monitored for adjusting taste and service. Moreover, it also boasts a system that can analyse customers’ eating habits and offer suggestions based on previous purchases. By 2021, sales of breakfast foods at convenience stores is expected to exceed RMB 840 billion in China, while the total sales of breakfast foods in the country will reach RMB 1.94 trillion, data from a 2016 survey showed. Now, many Chinese start-ups have set their eyes on the breakfast market, trying to woo more customers seeking high-quality king-like meals with advanced technology and more convenient services, including Baoxiaotuan, a start-up founded by the founder of Steamed Stuffed Bun Restaurant, Qing Feng. The western-style foods, in particular bread and milk, have gained popularity in China and become an important part of urban Chinese breakfasts. In the future, with further income growth, the demand for the western foods will continue to grow remarkably. This finding has important implications for agricultural production and food processing industry. Since making bread requires higher protein wheat flour relative to making noodles, fried dough (youtiao), and steamed buns (mantou). The increasing demand for bread herein is challenging China’s wheat breeding and high-protein wheat production. A potential to rely on imports might be a solution considering China’s limited land for high-protein wheat production such as hard red winter and hard red spring, and its relatively logged wheat breeding technologies. Regarding milk, it is well known that the recent milk safety incidents such as melamine-contaminated baby formula have terribly damaged consumers’ confidence in consuming domestic produced milk and shocked milk production in China. The fact that Chinese consumers are demanding more milk with the growing income and health desire, however, is unchanged according to our findings from this study. Therefore, how to supply sufficient and safe milk becomes a critical question for policymakers and milk industry to pay enough attention. The western-style food consumption is also significantly related the female head of household’s education achievement and family composition. Particularly, the researchers found that younger generations in urban household are leading the trend for westernization of Chinese breakfasts. Since people often formed their food preferences at young and will stick on when aging, the findings thereby suggests that western-style foods will be included in all age groups in the foreseeable future. 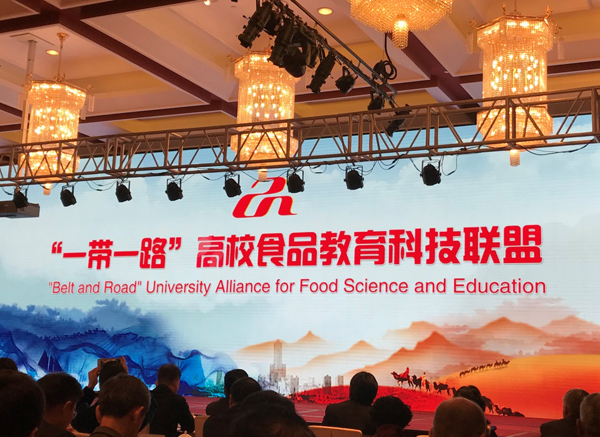 Meanwhile, the FHH’s education is found to have a significantly positive effect on western food consumption, both in frequency and in consumption level. This result suggests that any effort to promote western-style foods in China’s market can increase returns by targeting the FHH. Against the background of growing nationalism in China, it will be no surprise that the opposite of the westernisation of Chinese breakfast, the sophistication of traditional breakfast foods, can also be observed. A good example is a recently opened fast-food outlet of the famous Goubuli Baozi (steamed fill buns) restaurant in Beijing. Apart from its steamed buns, the menu also features typical breakfast items like jianbing and doufunao. 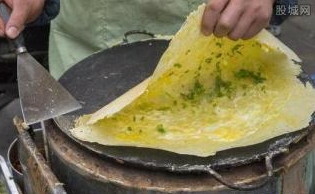 Jianbing resemble French crêpes and are sold on almost every corner of the street in Beijing during breakfast time. The ones sold in Goubuli include Peking duck jianbing cooked with cucumber, sliced Peking duck, pickles and the sweet paste of flour. 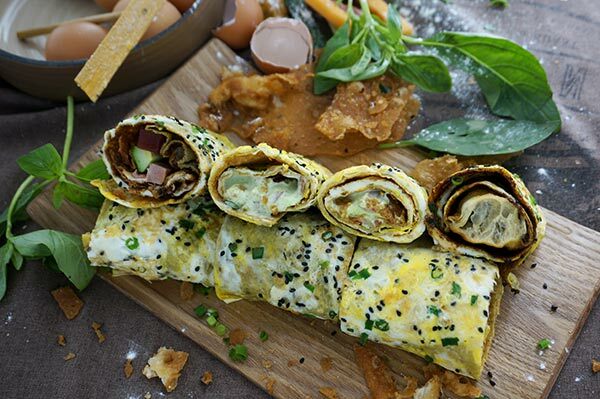 Three other varieties of jianbing are available: traditional Tianjin-style; bacon; and seafood. The pictures compare a jianbing as sold by street vendors and Goubuli’s Peking Duck jianbing. Doufunao literally means bean curd brains and is made of soft silken bean curd with sauces and garnishes usually served sweet in southern China, and salty in northern China. At Goubuli it is topped with crumbs of mahua (fried dough twist, Tianjin’s most famous snack), rousong (meat floss), and furu (fermented bean curd). This combination makes each spoonful of doufunao tasty and complex thanks to the savory furu and soybean paste, crispy mahua, and silken bean curd. In our Western view of the world, cream cakes are very much a part of our culture, as the ideal accompaniment of a cup of coffee. The powerful synergy of caffeine and sugar gives a bitter sweet boost to body and mind. Traditional Chinese pastry is different. Chinese have a sweet tooth as well, but cream is dairy and hence non-Chinese. 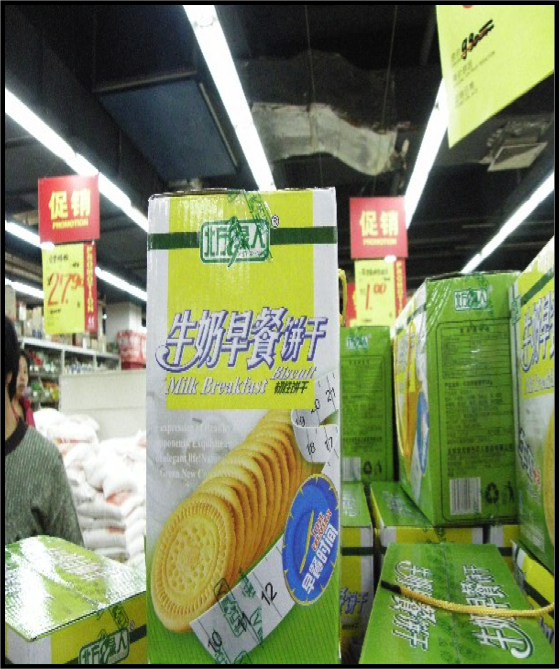 Dairy products have found their way to China, witness a number of earlier posts in this blog, but it took a while before Chinese bakers starting producing cream cakes that can compare with the ones in a Konditorei in Vienna. 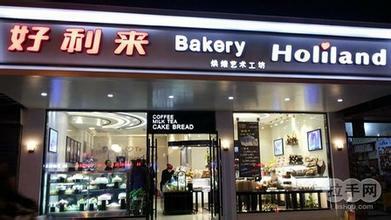 The largest Western style pastry chain in China has an ominous name: Holiland. The story of its foundation is unique as well. When the founder Luo Hong couldn’t find a decent cake for his mother’s birthday he made a rather extravagant gesture. The then 23-year-old bought a bakery to ensure the problem would never happen again. That was 18 years ago. Now, at the age of 41, Luo is president of one of the largest bakery chains in China, and controls more than 1,000 cake shops in 70 cities including Beijing, Shanghai, Shenyang and Chengdu. They specialise in cakes, breads and other pastries and control 85.7% of the market. This year the company is moving some stores from their original homes in the suburbs to downtown areas where the footfall is high enough to bring in even more customers. Unlike other Chinese entrepreneurs whose names are often connected with their business, Luo is better known as a photographer, environmental campaigner and social activist. He has spent most of his time during the last decade taking pictures and participating in charity events around the world, including the establishment of an environment protection fund for the UN Environmental Program. It’s Luo’s belief that if a company doesn’t have different brands to meet different customers’ demands, it cannot be successful. A picture of a white swan taken in Cambridge is the inspiration for a new cake he intends to market later this year as part of his diversification into premium cake making. Following on the success of the black swan series, white swan cakes will feature top-class decorations and accessories. The price will be between RMB 400 and 10,000, putting it into a class of its own. A cake weighing 1.5 is priced at RMB 469. At 21 cake, one of the most popular online cake shops, a cake weighing the same costs RMB 169 yuan. 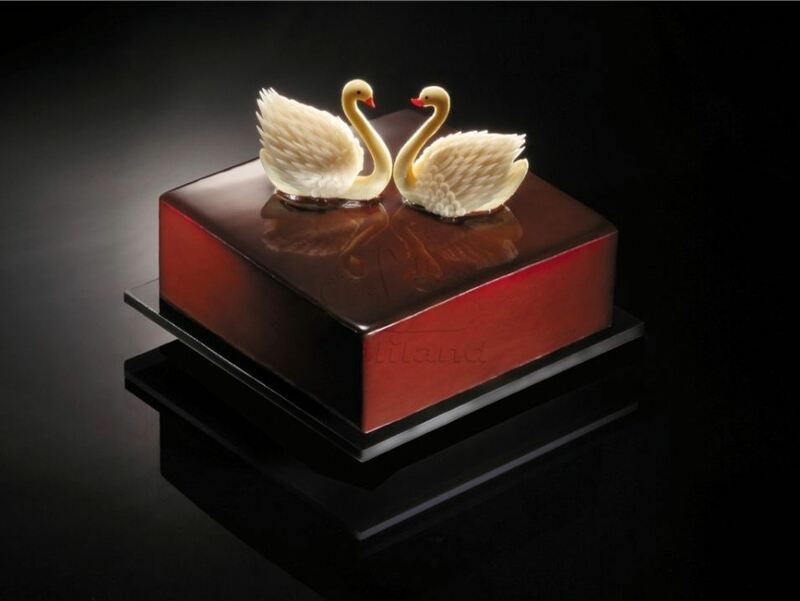 The wedding cake in the swan series will set customers back RMB 10,000. Fittingly, as part of the service, it will be delivered to the wedding ceremony by Rolls Royce free of charge. “Cakes and photography are two parallel interests in my life. Sometimes they cross paths. The launch of swan cakes is a combination of my business and personal interests,” Luo said. To make white swan cakes as exquisite as possible, Luo asked the developers to capture minute details from the queen of birds. Luo is confident about the cake’s sale prospects and expects they will account for 50% of Holiland’s total annual revenues. Luo says photography brings him happiness, inspiration for design and also a low-cost marketing strategy. Some of his photos adorn subway walls after the Beijing municipal government decided this year to improve the city’s culture environment. Luo knows that in baking it is wise to follow produce what customers like best. One of his products featured a bear decoration but he got rid of it because some of his friends in the finance industry said it brought back unhappy memories of the bear market during the financial crisis last year. 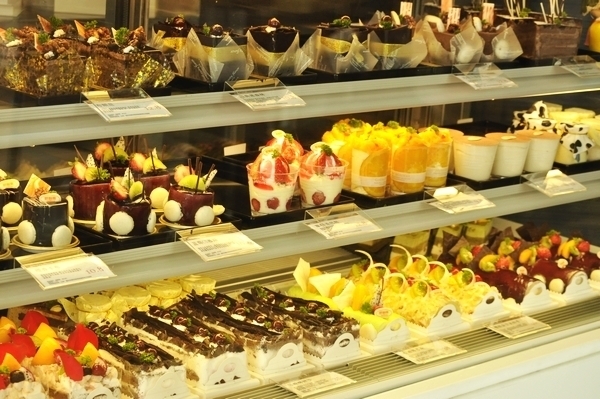 As one of the largest cake shop chains, Holiland also faces the problem of “brain drain”. The high turnover of skilled employees means that Holiland is always in danger of losing key intellectual capital in its core competency areas. The company needs to develop knowledge management strategies to capture, share, and preserve knowledge and integrate knowledge management into its strategic plans, said Luo. This year, the entrepreneur paid RMB 5 million to American leadership expert, John C. Maxwell, to give a speech about leadership to all employees at Holiland on July 28 and 29 to improve the management skills of his employees. Today’s hurried urban life and the convenience of the Internet are luring more customers to online businesses, including bakeries, in China. Luo and his team have joined the trend. All swan cakes are only accessible to online shoppers. The savings will be used to improve the product. It will come with a steel knife and fork rather than less environmentally-friendly plastic used previously. Other bakery shops have also found that doing business online is less time-consuming and more economical. E-beecake, 21 cake and Waffleboy are among those becoming more popular with young people. Holiland is also expanding its portfolio of delicacies to include mooncakes and sweet dumplings. 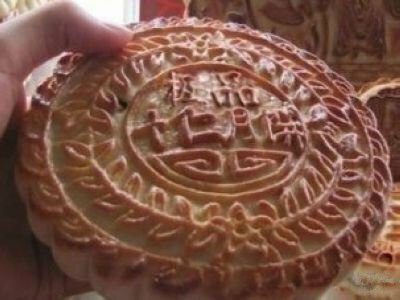 This autumn, the company will introduce a greater variety of mooncakes to attract more high-end customers. Holiland sold as much as RMB 200 million of mooncakes every year in China. According to Xie Li, general manager of Holiland, regular cakes, mooncakes and sweet dumpling are Holiland’s best sellers, accounting for 60, 20 and 10% of the company’s revenues respectively. Readers with knowledge of Chinese may notice that this brand name has a double meaning. The Chinese name Haolilai literally means ‘good profit coming’, but the pronuciation resembles haolaiwu ‘Hollywood’. The English name Holiland is obviously inspired by Holy Land. The allusion to the world’s movie capital will attract Chinese consumers’ attention, while Westerners will want to check out a chain linked to the Holy Land. Luo Hong has never explained his choice of brand names, but I am sure the above is more than a conjecture. We are experiencing a moment in time in which the Chinese are looking back at the nation’s long history with more appreciation for traditional values and things Chinese to be proud of. This includes a number of old famous food brands (laozihao in Chinese) that have (almost) gone lost in during the years of rapid economic growth. Of the 2000 traditional brands in China, about 27% are food and beverage businesses, according to a research report from Beijing Technology and Business University. Several of the Beijing-based brands used to enjoy national fame — Yili, Sanyuan, Beibingyang, Liubiju, and Wangzhihe. Curiously enough these old Beijing brands still have large numbers of loyal customers but also mirror the development of typical State-owned enterprises in the capital. A number of famous old brands based in other regions of China are being revived as well. The national government has started to protect those brands with a system of certification. 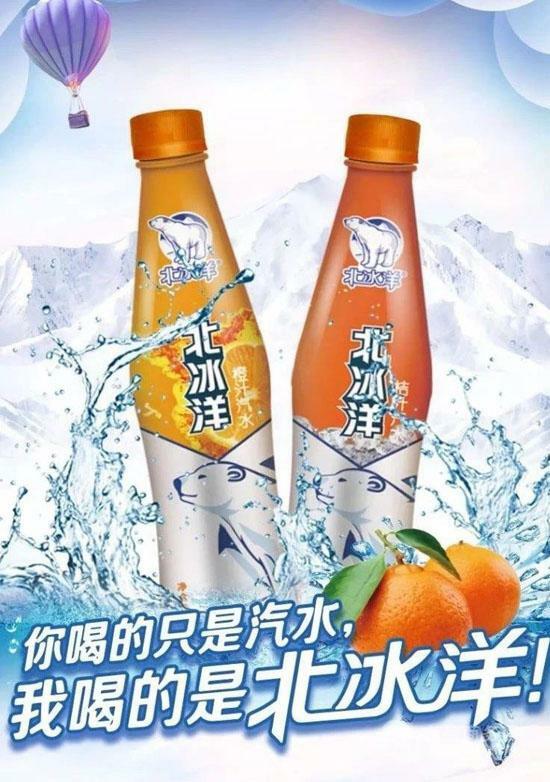 Beibingyang (Northern Ice Sea) used to be China’s top brand soft drink, but disappeared 15 years ago, when it proved unable to reposition itself in the world dominated by Coca Cola and the likes. Yili announced its return in 2011. Yiqing literally means ‘First light’ and is an abbreviation of the Beijing First Light Industry Corp., a management vehicle of the part of the industry that used to be operated by the Beijing Bureau of Ligh Industry, which in turn was the local branch of the Ministry of Light Industry. This ministry was demoted to the China Light Industry Association and the former ministry’s local branches were reorganised into holding companies that managed the individual companies. ‘First’ refers the lighter types of industry like food. Beibingyang is performing well. The company has filed a turnover of RMB 600 mln for 2017. It has also launched a type of peanut-based protein beverage of its own, under the Beibingyang brand. It has also started to pack its soda in PET bottles mid 2018 (see pictures). For me personally, reading the brand name Beibingyang brings back my own memories of my year in China in 1975-76. The resurrection of Shanghai Yimin No 1 Food Factory, one of China’s oldest ice cream makers, is creative: the brand chose a new durian flavoured sundae to announce its comeback. Yimin’s vanilla ice cream has some history to it. Now the brick-shaped dessert sells at RMB 8 yuan apiece. Back in its heyday in the 1950s, its price was RMB 0.25. Its popularity continued through the 1980s and 1990s. Its size and shape resembled a soap bar (see photo above). And consumers would dip it in soda water, mix it with cookies and fruits, or even allow it to melt so they could use the fluid as a dressing on fruit salad. Those were the days when air conditioners and refrigerators were still few and far between at homes. 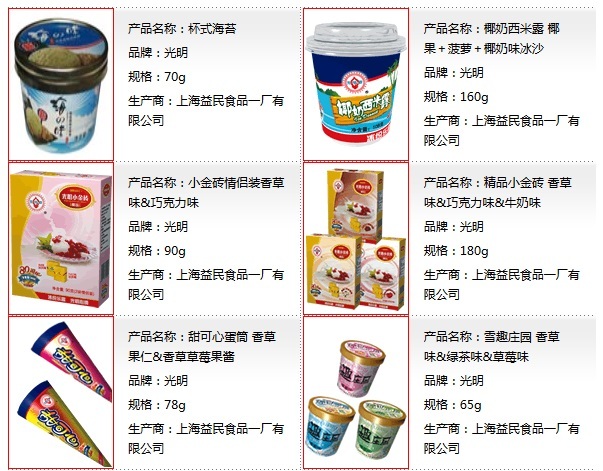 At its peak, Yimin’s vanilla ice cream commanded nearly 80% of the local market. But then, the ubiquitous imported ice cream brands mauled the 95-year-old firm’s offerings. Let’ watch and see if the new flavour can help Yimin recoup some of that old market share. 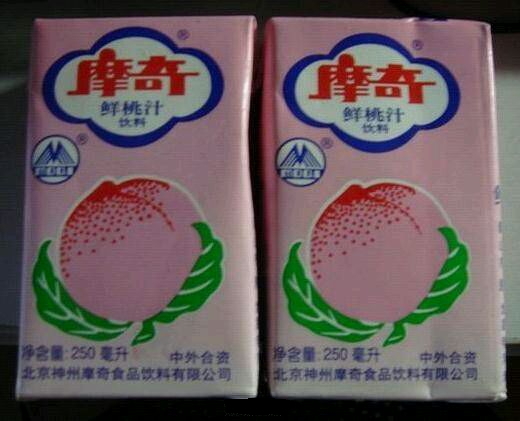 Moqi Peach Drink is not even a very old brand. Launched in 1984, and booming by 1992, the brand faded away before the end of the century. It grew a dull and old-fashioned image and was no match for the ‘modern’ international soft drinks. However, Moqi was relaunched on February 5, 2018. Yili bread (not to be mixed up with Yili, China’s top dairy company), another Yiqing Holding brand, especially the type filled with jam, was known in practically every household in Beijing in the early 1960s and ’70s, and, Ma adds, “This bread keeps the traditional flavor and texture of dozens of years ago and which is still popular, and along with Beibingyang soda water, in the words of one customer “still brings back childhood memories”. In fact, reading the brand name Beibingyang brings back my own memories of my year in China in 1975-76. These sentiments for old brands fit in with the current trend in China to go back to traditional Chinese values and respect the good things of Chinese culture. Protecting a number of national brands is another distinctive trait of the current Chinese government, as I indicated in the post on infant formulae. An employee of Yili bread, Zhang Chunlin, explains why it still tastes good after so many years of development by saying that the company insists on using the traditional fermentation method, which produces the particular flavor and nutritional benefits and that the food safety is a major concern for Yili and Beibingyang, which claim to have strict production standards for raw materials and processing. 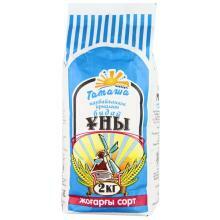 Yili bread does not have any food additives or trans-fat, which can increase the risk of disease. When it comes to food security, no one feels stronger about it than Sanyuan, according to a company spokesman, which is a Beijing Sanyuan Foods Co brand and one of China’s leading dairy producers. Sanyuan started life as the Pingjiao State Farms Administration office in 1949, the year of the founding of the PRC; another government agency turned company. China’s diary business was badly hurt by the 2008 scandal in which several giant Chinese companies were found to be adding melamine, a chemical that can cause kidney and other damage, to their food, while Sanyuan’s products, a relatively smaller operation, proved to be safe. Since then, the government has imposed tighter quality controls on the industry, and has tried to restore consumer confidence. Sanyuan acquired most of the assets of Sanlu, China’s largest dairy company until it got bankrupt as a consequence of the melamine incident. In a spot inspection, in 2011, China shut down 426 dairy producers and told another 107 to suspend operations until they made improvements. 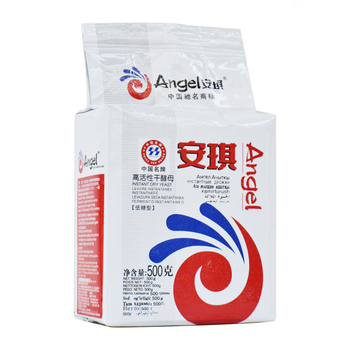 Then, in 2014, the Beijing government gave RMB 10.8 mln to the Sanyuan Group to develop safer, healthier infant milk powder. One Sanyuan Foods manager said that in addition to about 30 tests for heavy metals, pesticide residue and chemical additives, the company has advanced testing facilities for antibiotics and somatic cells. They also have a complete industrial chain, from cow breeding, feeding, and processing, to sales and cold chain transport to after-sale service and use information technology and intelligent systems to identify the cows and calculate the amount of exercise and, in processing everything is automated. Established in 1915, Five Start was one of China’s oldest beer brands, but when it failed to redefine itself in the new competitive environment, it was finally taken over by Tsingtao in 2000. The new owners discontinued the brand. In September 2015, Tsingtao announced that it will revive the Five Star brand, for the time being concentrating its marketing in Beijing and the Northeast. 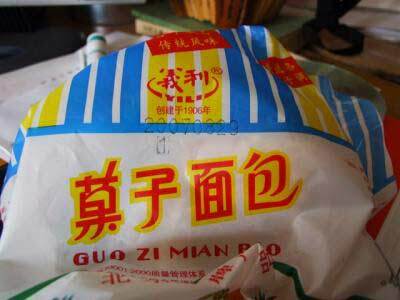 Wangzhihe, of the Wangzhihe Group, a subsidiary of Beijing’s Ershang Group, goes back to 1669, so it has a long history with fermented bean curd. 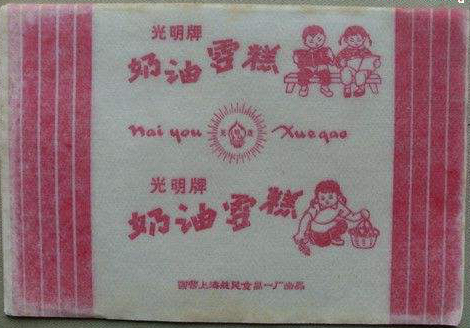 The parent group owns dozens of national brands with long histories, including Liubiju sauce and pickles, and Yueshengzhai pickled beef and mutton. The literal meaning of Ershang is ‘Second Commerce’. Like Yiqing, it is a management vehicle for the state owned enterprises under the former hierarchy of the Ministry of Internal Commerce. That ministry merged with the Ministry of Foreign Economic Relations & Trade into the current Ministry of Commerce. And again, the companies involved were distributed over a number of holdings. Wangzhihe’s furu got national recognition as a cultural heritage item, in June, 2008, Wang added, so, it gives all its suppliers an evaluation and certification before letting them work. They are mostly in the northeastern provinces of Jilin, Liaoning and Heilongjiang, which have high-quality soya beans. Liubiju Pickle is “China’s Time-honored Brand”, enjoying a history of over 400 years. It was originally created in 1530 A.D. as a small store bu brothers surnamed Zhao in Xishe Village, (Linfen, Shanxi). Later, it specially dealt with pickle business. The name Liubiju was taken from the motto coined by the shop’s founder and means “House of Six Musts,” referring to prime raw materials, choice ingredients, the best yeast, pure water, proper curing, and flavorful pickles. The pickles in Liubiju have carefully-chosen materials and strict processing procedures. Natural saucing method is adopted and abided by strictly. All materials come from fixed places. For example, soybeans are purchased from Majuqiao of Fengrun (Hebei) and Yongle Store of Tongzhou (Beijing), and the wheat flour are from Laishui (Hebei) and. cucumber from Daxing (Beijing). 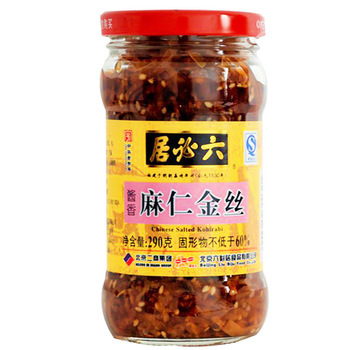 In 1988 all the sauce and pickle makers in Beijing, including Liubiju, merged to establish the Beijing Pickles Company, later renamed the Liubiju Food Company. 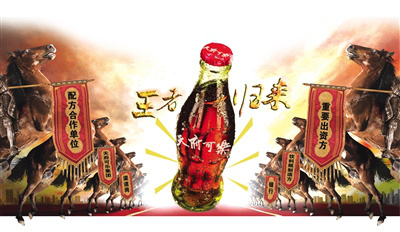 The Chinese cola brand Tianfu, that in 1991 was good for 80% of the Chinese cola market, will be relaunched around the Spring Festival of 2016. 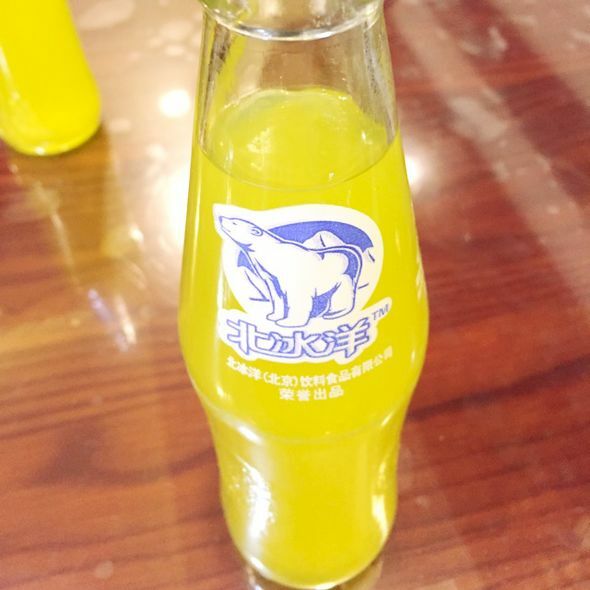 Back in 1980s and 1990s, the Chongqing-based company was the largest soft drink maker in China with a strong hold of 70% of the soft drink market. 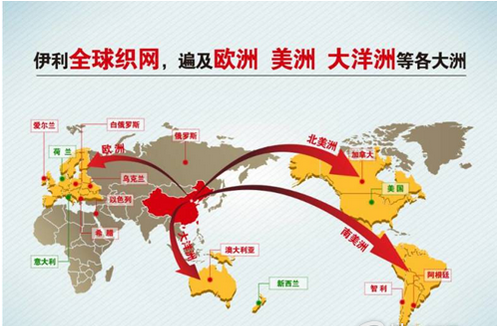 Tianfu Cola was sold beyond China and started to gain market recognition in Russia and America. In 1994, the company set up a joint venture with American cola producer Pepsi, which was not successful. By 2005, Tianfu Cola’s market share had plummeted to 1%. The company blamed the failure to the decision to cut the production of Tianfu Cola to make way for the production of Pepsi-Cola. In 2006, the company sold its stake in the joint venture to Pepsi. However, Pepsi refused to give back Tianfu’s production right. In 2010, Tianfu took Pepsi to court accusing the US firm of stealing the secret recipe for its beverage, with success. Tianfu will still use its natural traditional Chinese medicine herbal recipe to produce the drink, which was developed in cooperation with the Sichuan Research Institute for Chinese Medicine. In Shanghai, Yimin No 1 Food Factory is trying to regain its earlier leading position with a new high-end ice cream. Founded in 1913, Yimin No 1 Food Factory is one of the first ice cream makers in China. Originally a conglomerate that produced beverages, canned foods and snacks, the company later made ice cream and sold it under the brand “Bright” during the 1950s (Bright became one of China’s leading dairy companies). At its peak, Bright accounted for 80% of ice cream sold across the country. By the early 1990s, the company produced 15,000 mt of ice cream every year, 18 times the amount when it was started four decades ago. But with the aggressive expansion of foreign brands in the late 1990s, the brand fell down the pecking order in the market. Its main consumers today are middle-aged consumers looking for a slice of nostalgia. In 2017, the company recorded RMB 200 mln of sales across its product categories, up 10% from the previous year. However, a low profit margin and a dissipating market share, especially in areas outside Shanghai where people are less attached to the history of the brand, remain big concerns for the company. Yimin is hoping that a new polar bear logo for their high-end offering could eventually become a prominent IP like characters from Disney, in turn drawing more young people to try their product which is available in three flavours — vanilla, cheese and strawberry yoghurt. Most of these time-honoured brands stick to traditional methods, but also try to improve through modern technologies, which they consider inevitable if they hope to meet the demands of customers beyond Beijing, change is necessary. Wangzhihe says it has more tailored marketing strategies for different parts of China and products that cater to local tastes, with Wang pointing out that the people of northern China prefer the red furu while southerners like the white better. Yiqing Holdings says it has been trying to adjust to meet market demands and, in 2011, opened its first store in the Yili chain in Beijing, and in doing so got to know more about the market and got customer feedback. In the past, businesses such as supermarkets and snack bars just went to the plant themselves to get the goods and the company just stood by, passively waiting for buyers, something that was really out of step with the times. Ma explains, “There are 65 chain stores in all and that is expected to reach 100 by the end of this year,” while Li Qi, the president of Yiqing Holding, in commenting on their development, says they consider the development of the Beijing-Tianjin-Hebei region as a business opportunity for their brand strategy. The company was also a sponsor of last year’s Asia-Pacific Economic Cooperation meetings in Beijing and its sponsored products cover food and beverages and sponsoring such grand international event was a good way to become known globally. Other regions in China will undoubtedly have similar clusters of old trusted brands produced by new style state owned enterprises that are no longer directly operated by the government, but still closely monitored and protected by it. I will report on these regions in the near future. A number of earlier posts in this blog introduce other old famous brands. I will list them here, with links to the relevant posts. Trains are a vital means of transportation in China. Although air travel is as common as in China the US nowadays, the Chinese government keeps investing huge amounts of money in updating the railroad system and new trains. China already has the world’s largest high speed rail system. Chinese train travelers are without exception heavily packed. However, at least half the load they carry onto the train is not their actual luggage, but food, and drinks. Entire loaves of bread and hole packs of sausages, cartons of hard boiled eggs and instant noodles, obviously, baskets with apples, and other fruits; and tea. The tea comes in the form dried leaves. You bring your own mug as well and as soon as you have settled in, you place your mug with a handful of tea leaves on the small table in each compartment. Every Chinese train comes with a number of boilers. A train attendant will pass by about every half hour with a thermos flask with boiling water to fill your mug, again and again. If that is still not enough to satisfy your thirst, you can go to the boiler yourself to fill your mug, or perhaps your own small vacuum flask. One helping of tea leaves is usually enough to get you through the day. After settling in on their seats or berths, and after getting their first infusion of tea, the next collective activity of Chinese train travelers is unpacking. No, not their pyjamas or playing cards, or whatever they could use for entertainment, but food. In no time, the small tables almost collapse under the heavy load of ham sausages, eggs, water melons, fried chickens, biscuits, tangerines. Every food you can name is there, as well as a few items you may not be able to name. All that eating is bound to create waste: sausage skins, eggshells, watermelon seeds, and skins, chicken bones. A lot of that ends up on the floor. However, the train attendants will take care of that as well. After a round with the thermos flasks, they soon return with their brooms, to sweep the leftovers of their hungry guests to a waste bin at the end of each wagon. It takes getting used to for the beginning Western train traveler in China. All this long distance train travelling has affected the Chinese food industry. I dedicated an earlier post in this blog to ‘leisure food’, a typical Chinese food category. Of course, these foods are consumed in all means of transportation, but trains certainly have the edge. Instant noodles have risen to top position. They are cheap, convenient and tasty. As all trains in China provide hot water, instant noodles have become the most popular hot food on a train, because they can be made anytime. While instant noodles are the typical staple foods during long haul train rides in China, snack food in small packs are the ideal dishes to add some flavour to the relatively bland noodles. 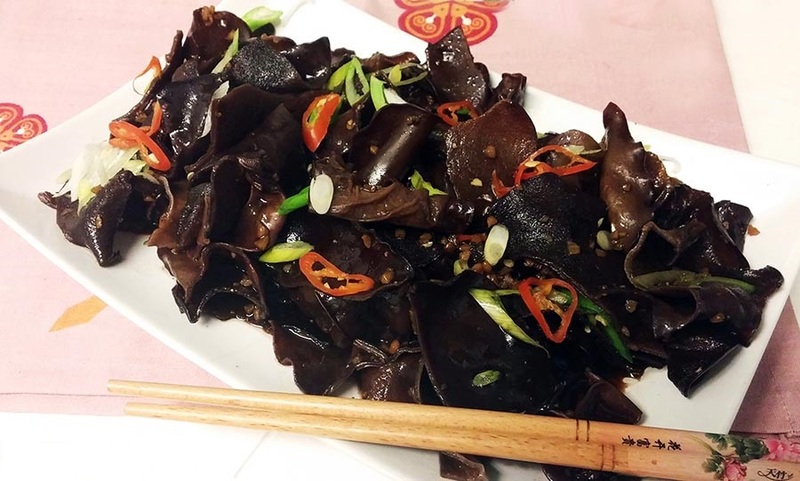 Beef jerky, various parts of the duck, steamed chicken feet, dried bean curd, any nut or seed you can think of, pickled vegetables like zhacai, as long as it comes in a palm-size pack, it works for train travelers. If soaking noodles in hot water is too time consuming for you, you can opt for a liquid staple. Canned porridge in China usually contains nuts, dried fruits and grains, and is sweet flavoured. Young passengers will like it and adults can take it as dessert. The second favourite activity of Chinese train travelers is sleeping. A full belly makes you sleepy. However, the refreshing activity of tea can be a spoilsport here. A good alternative for train travelers who want to kill a few hours by sleeping is beer. You will find a few cans of beer in the luggage of many Chinese train passengers. And when your last can is empty, you can usually buy more in the dining carriage. Other moments to replenish your food and drink stock are the stops at stations. Trains will stop for a few up to ten minutes, which usually gives you just enough time to buy a few cans of beer, some freshly steamed buns (mantou), or a bag of peanuts. Spending such a long time in a restricted space, is bound to become tedious sooner or later. You can chat with your travel companions, but the moment will come that you have exhausted all topics you may want to discuss. You can play cards, read, listen to music, but it all will become repetitive. There are three peak events to look forward to on long Chinese train rides: breakfast, lunch, and dinner. This is not because they are such a culinary tour de force. Neither is it because you are hungry. You have spent most of the time that you are awake eating, and there are few opportunities to burn calories. Still, few people skip a meal, simply because meals are served in the diner, so you finally have an occasion to walk and get some exercise. And you can sit on a chair, instead of a berth, or one of the small fold out chairs in the corridors. A typical train meal consists of a bowl of lukewarm rice and a couple of greasy dishes. You usually get more flavour from the foods that you brought yourself than from what you get served in the diner. However, with the modernisation of the Chinese railway system towards the world’s largest high speed train network, the production of train food is also updated. 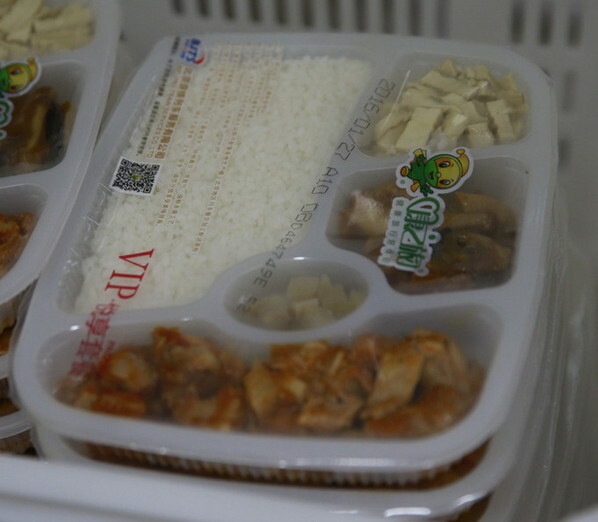 The following picture shows a cold-chain packed meal produced by the Beijing Railway Service Company, with an expiry time of 72 hours. The following video gives an impression about how train meals are served in China. To summarise: eating and drinking on Chinese trains is not a haut cuisine experience, but it is one of the best occasions to experience a symphony of all aspects of Chinese food and culture. As of late july 2018, 27 high-speed train stations are providing a pilot food-on-demand service to passengers, who can pre-order food from a selection of the outlets at the stations. The service serves as an apt response to the meal box monopoly. 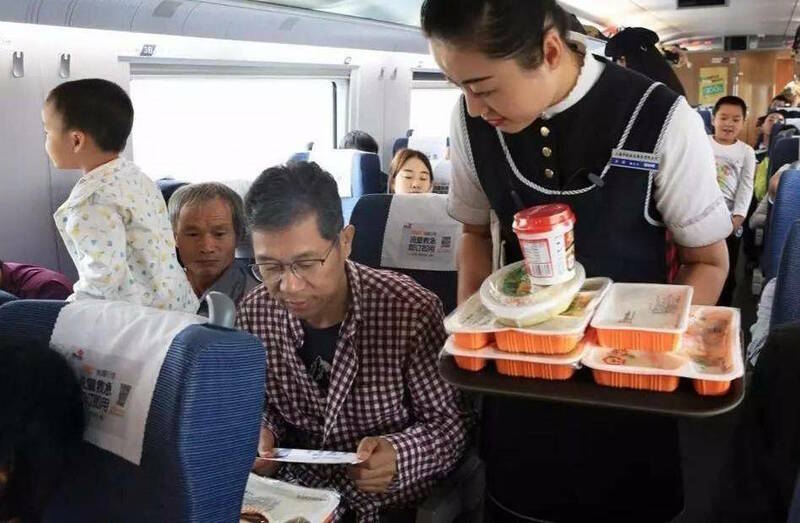 Complaints about the expensive, tasteless meal boxes offered on high-speed trains are not rare, and many passengers prefer to take instant noodles with them or else not eat at all while traveling by train. So the takeouts-on-demand that can be ordered via China Railway Corp’s website or its app two hours before the train is scheduled to arrive at a selected station could be a savior to those hungry travelers who have no interest in the meal boxes. The pre-order service costs as much as that offered by popular food delivery apps like Eleme, except the delivery fee is around RMB 8, which is slightly higher than in cities. High speed trains continue to change the relationship between trains and food in China. The top season is undoubtedly the period before and after Chinese New Year, when migrant workers in big cities are returning home to celebrate China’s main festival with their close relatives. A dining carriage director with the China Railway Nanchang Group recalls the changes during the past few decades. In the early 1980s, flavoured peanuts and lard cakes were among the very few snacks sold on trains, and they were highly sought-after. Trolleys were introduced in the 1990s and it became a booming business thanks to the large volumes of passengers. 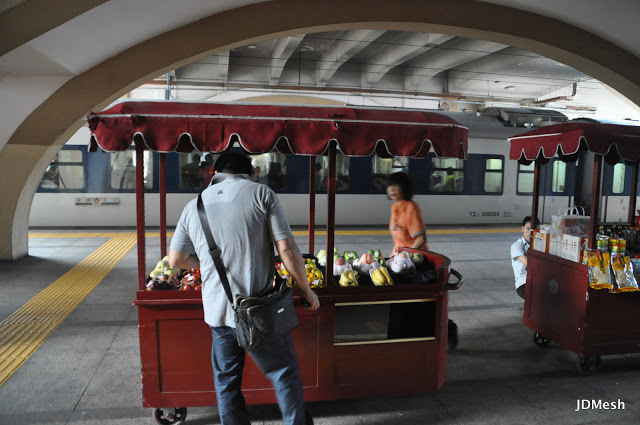 One trolley could sell RMB 10,000 worth of goods during one train trip, though most passengers still favoured cheap snacks. Now Starbucks coffee and Haagen-Dazs ice cream sold on high-speed trains are also welcomed by passengers, though their prices are much higher than traditional snacks like melon seeds. Bottled mineral water is also best-seller, at least on slower trains, and passengers are willing to dig deeper into their wallets for better brands. Water priced at RMB 5 sells better than the RMB 2 ones.